Dangers with a clogged dryer vent? According to the U.S. Fire Administration's National Fire Data Center, clothes dryers are responsible for approximately 15,600 structure fires around the country each year. Eighty percent of these fires start with clogged dryer vents and result in 15 deaths and 400 injuries on average annually. Thousands of other home occupants are treated for symptoms of poisonous gas fumes that back up into the home due to blocked dryer vents. Cleaning the lint trap in your dryer is a good practice, but it's not enough to prevent a dryer vent fire from starting. To keep your dryer efficient and safe, have Comet Air Duct Cleaning clean your dryer vent, and you should replace any vinyl or plastic flexible transition ducts between the dryer and the main vent (often located inside a wall) with a semi-rigid metal transition duct since plastic and vinyl transition ducts can catch fire, unlike the semi-rigid metal ducts. Make sure the opening of the dryer vent pipe outside is free of any birds’ nests, bushes or other debris that accumulates over time. Having dryer trouble? Dryer not drying? Is the dryer sensor going off? Cleaning Dryer Vents can pay for itself in a year just in the energy you save by not overworking your dryer. When you need to run a double cycle to get your clothes dry, you have a problem. 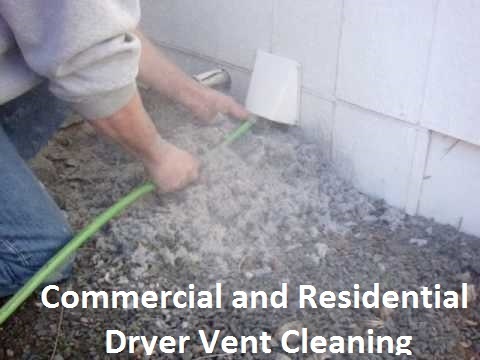 4 dryer vent cleanings for customers who just purchased a new dryer to replace a dryer they thought was not working properly, only to find out the problem wasn't the dryer, but a plugged dryer vent. When you enter the laundry room and it seems warmer than normal, this is typically the first indicator that you may need to clean your dryer vent. Comet is Billing's #1 duct cleaning company. We make having your vents cleaned affordable for everyone. And no one can do it better than Comet. We use the latest in technology, RamAir. Getting deep into your system is the key to cleaning. With RamAir, this is where we beat all the competition.